Did you know that a large number of Internet Prodigies are 'Montessori kids'? Among them stand out Jeff Bezos, founder of Amazon; Jimmy Wales, creator of Wikipedia; and above all, Larry Page and Sergey Brin who, from Mountain View in California, lead the digital incarnation of the Montessori method: Google. 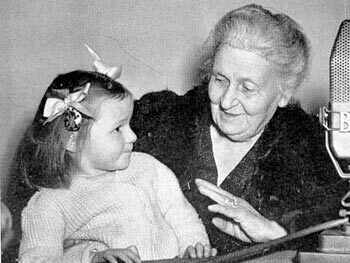 Read the full article and discover how these people have been influenced by Maria Montessori. Le même article en italien pour tous ceux qui veulent parfaire leur italien... Les plus courageux pourront s'amuser à les comparer.